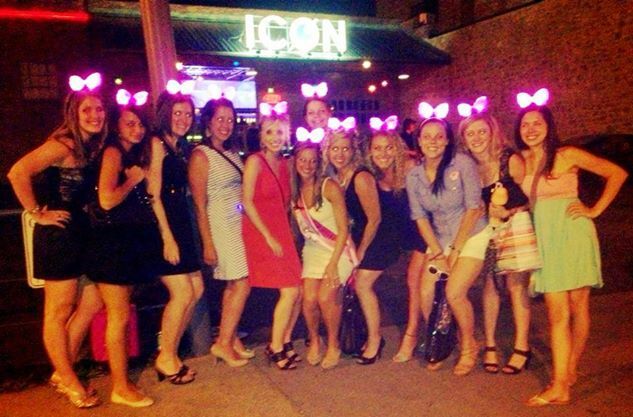 Planning A Girls’ Night Out? Gotta Have Light Ups. 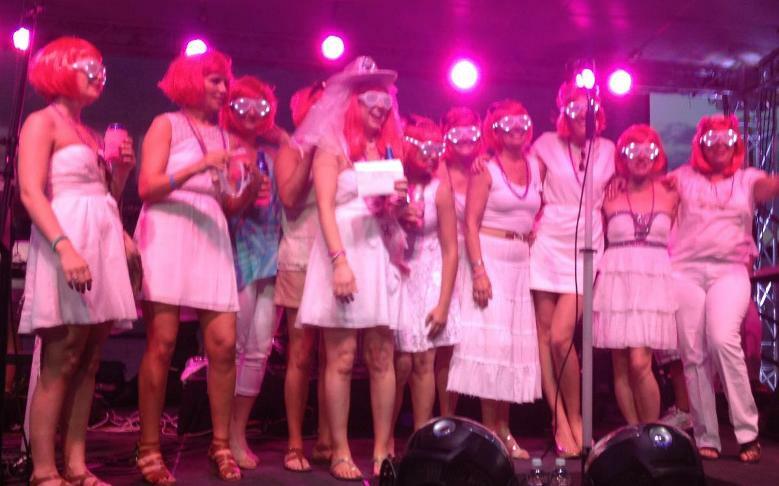 Yo lovely lasses, let your hair down & light yourself UP on a good ol’ fashioned Girls Night Out! 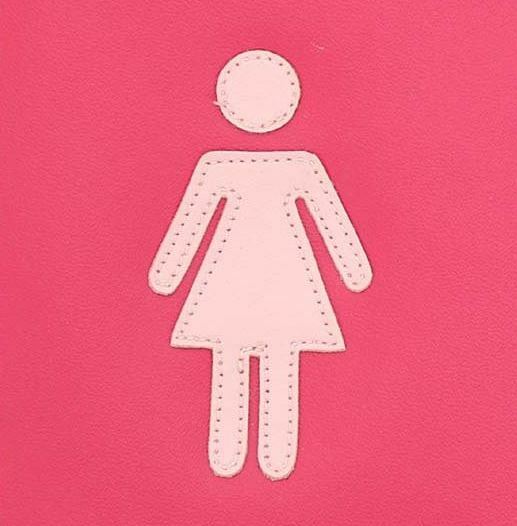 Though an old tradition for fierce females all over the globe, Girls Night Out a.k.a. 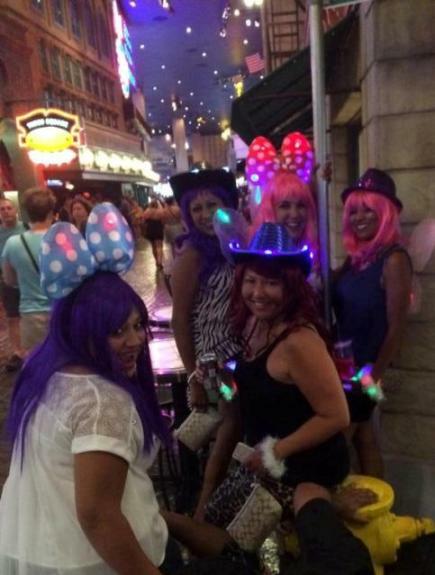 Ladies Night seems new & improved with Light Ups now involved. Bachelorette Party Favors in full effect! Slow color change Light Rings & Hair Fiber Optics? Check & check! So dreamy. Warning: Glow Bracelets may become glow mustaches as it gets later into the evening. And that’s OK! Rows of bows. LED Bows that is! Toooooo cute. 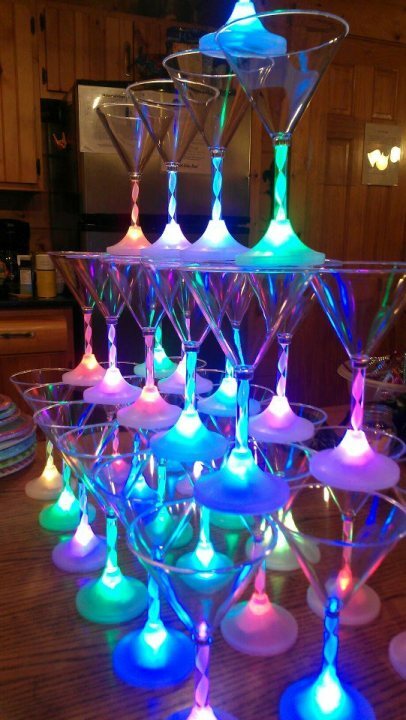 If Girls Night IN is more your thing, color change LED Martini Glasses are the perfect FBL product for you, be it cocktails or non-alcoholic fancy drinks. Another shot of just how great they look stacked. So cool, huh! If we can help you choose ladylike Light Ups for your next Girls’ Night, don’t hesitate to ask in the comments below, for we love to help & can show ya around with ease. ‘Til next time. Cheers, dears. Fun Run Fans, Start Your Engines. On your mark. Get set. GLOW! Chances are there’s a 5K Fun Run happening near you, and no doubt you should check it out. 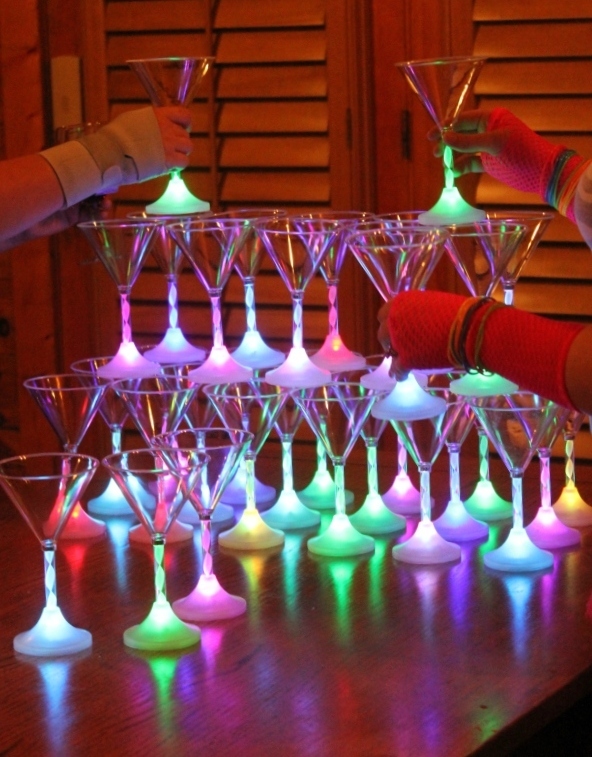 It’s a new spin on an old classic – think night marathons combined with light up party favors. 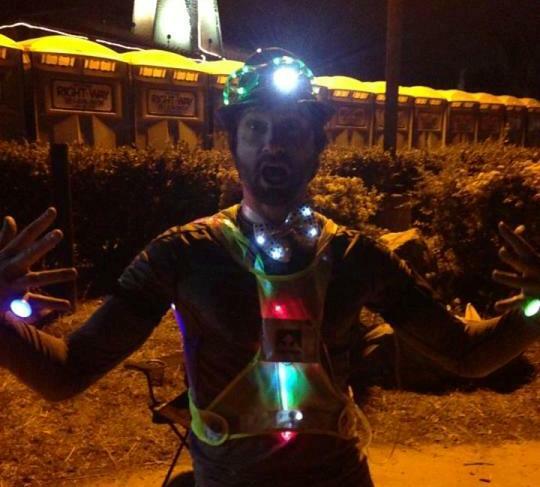 It all started with safety in mind, keep those night runners VISIBLE. Get seen, stay safe. But someone saw real potential in adding the party vibe to a race through city streets. Hence, FUN Run! Way to lighten things up. 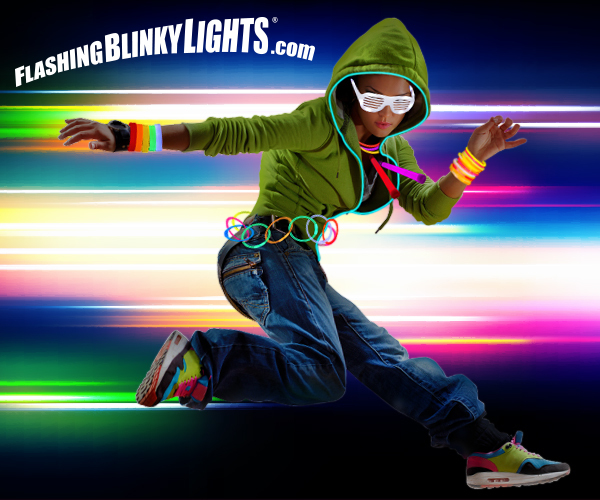 As light enthusiasts & LED fanatics ourselves, we’re totally excited about this new Fun Run trend, combining fitness with party time. 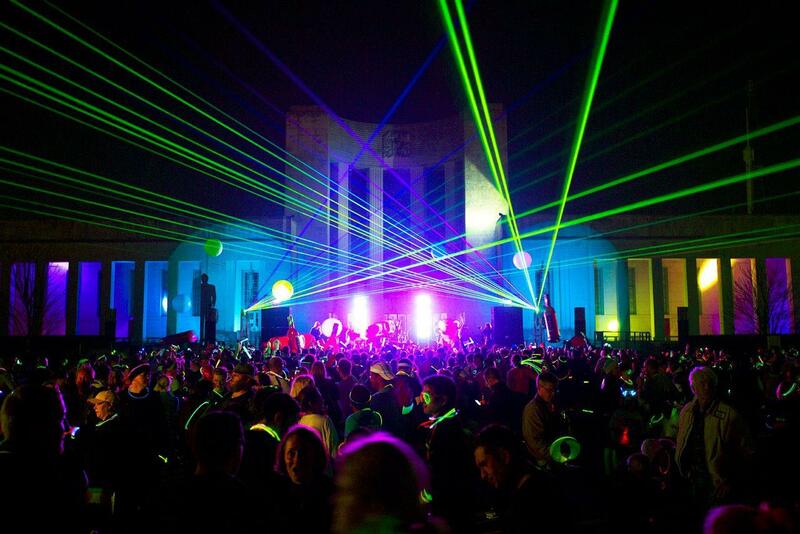 Light Ups used to mainly be seen at raves – you ‘90s kids know what I’m talkin’ ’bout. *untz*untz! * But the teens of the ‘90s have grown up & have families of their own. Party people past & present are now exercising with their families & friends. 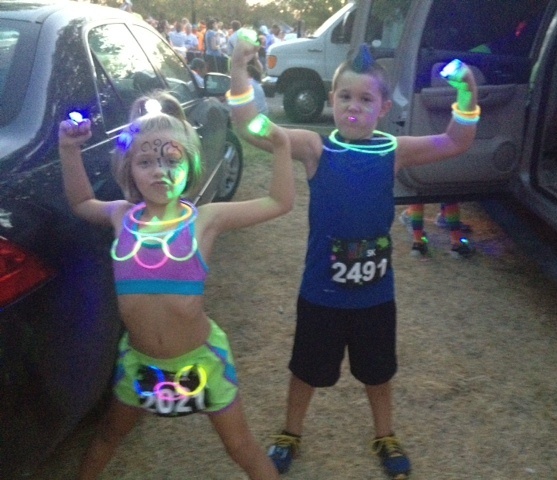 Check out our Fun Run lights in action. Isn’t night running a blast? For y’all first timers, remember that one does not have to be competitive, nor a total health nut to have the best time. 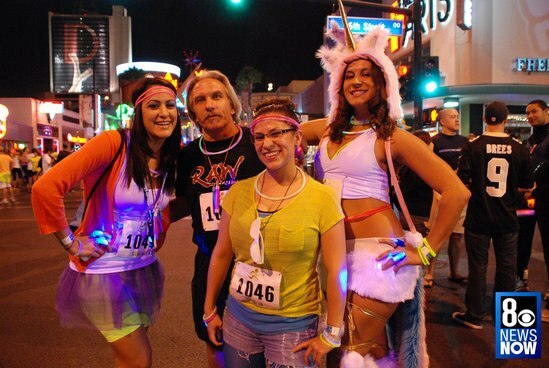 If you’re intrigued but unsure of how to get this party started, motivate yourself by signing up with a group of friends or co-workers, choose a fun team name, get matching shirts, order enough Light Ups to all blink from head to toe, then hit the road! 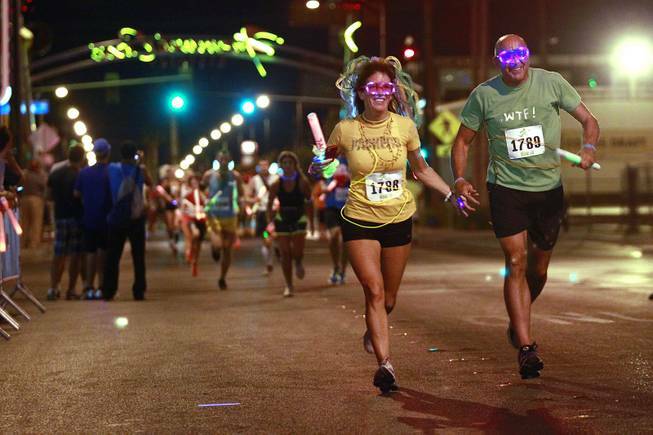 BONUS: after all the hard work is said & done, Fun Runs treat their lit up participants to a huge party at the finish line – how cool is that? 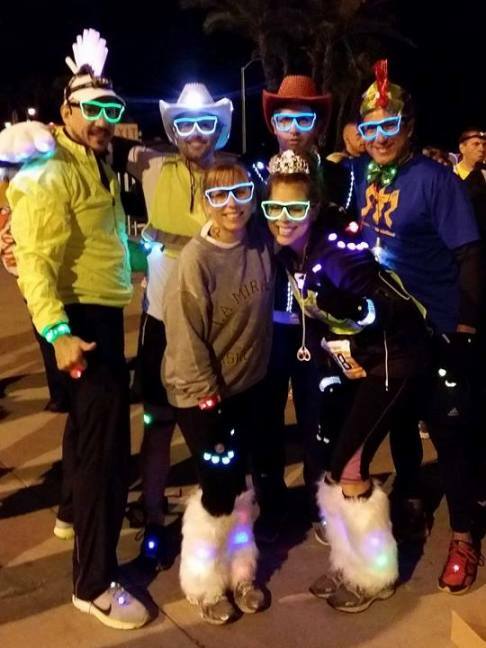 Next time you register for a 5K Fun Run, drop us a line, tell us about the look you’re going for, and let us help you get the party started. We love to help!